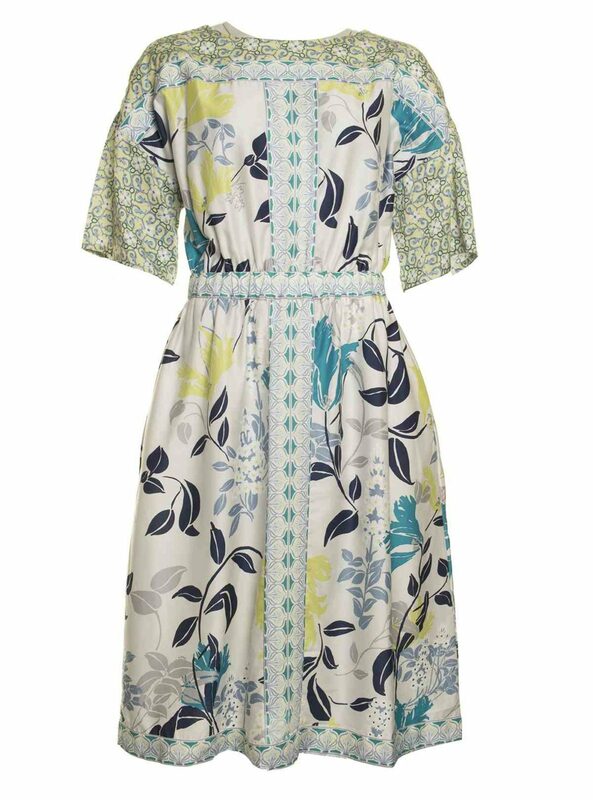 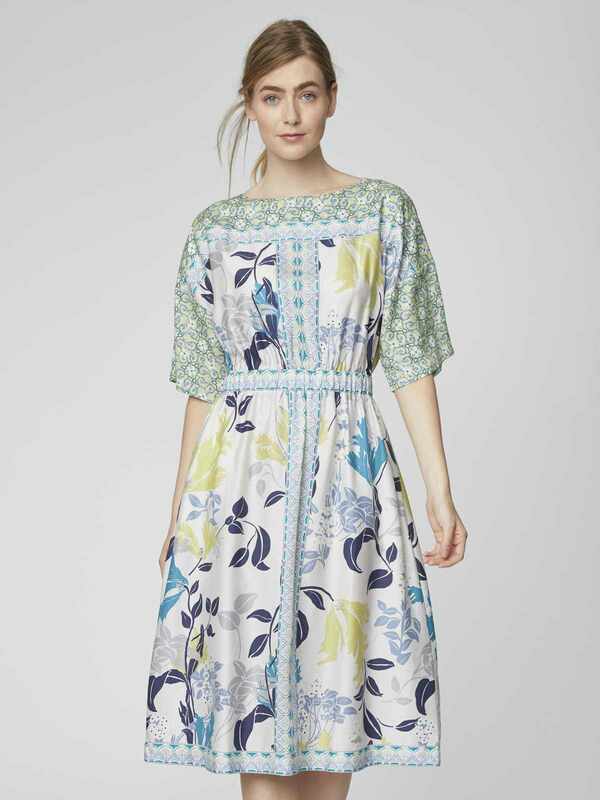 Thought Aureille dress in very light grey with a lime, blue and grey print. 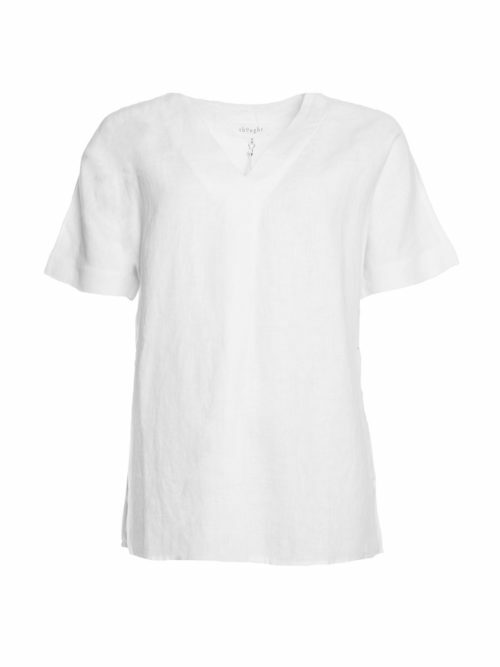 round neck, short sleeves, elasticated waist. 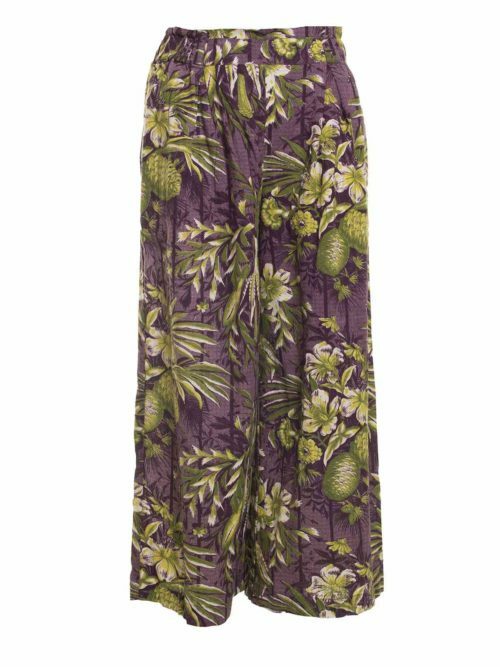 Side pockets on the skirt. 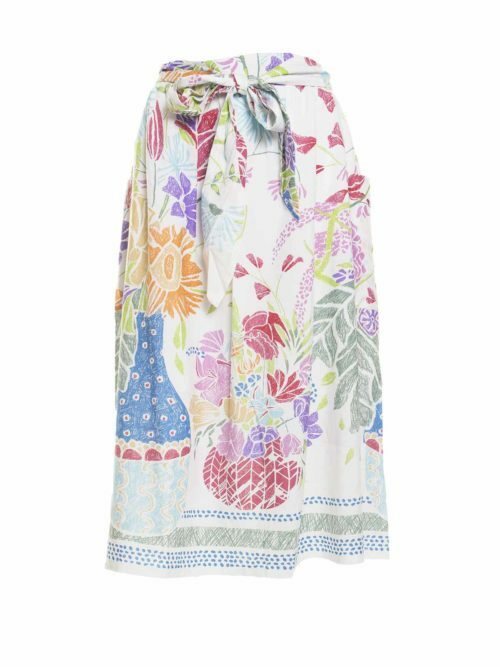 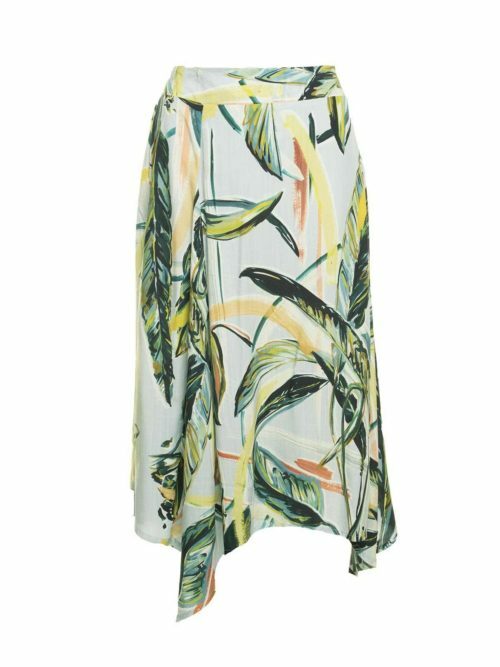 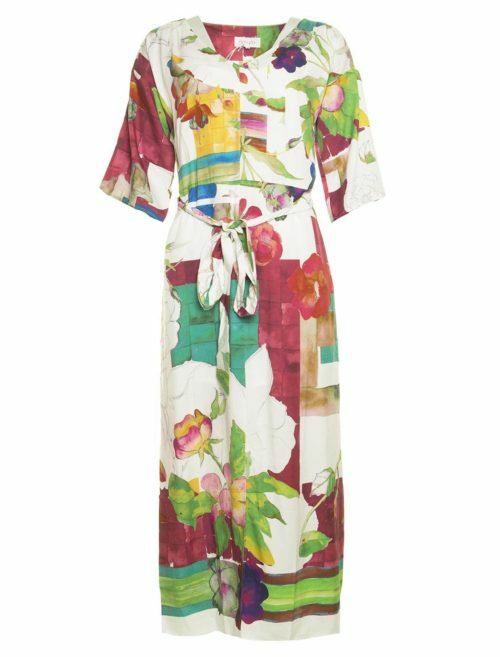 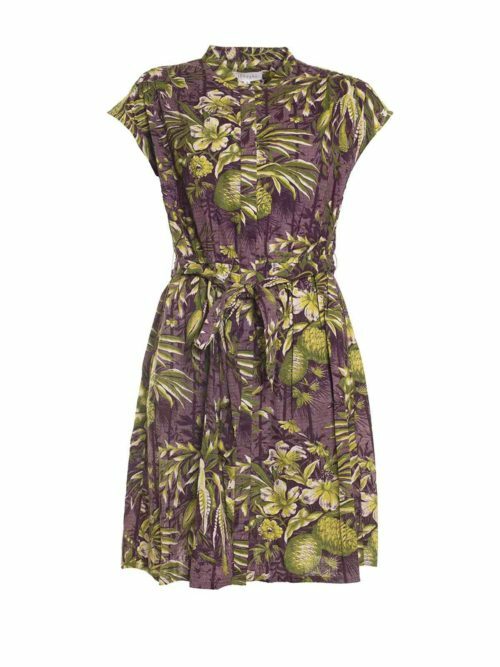 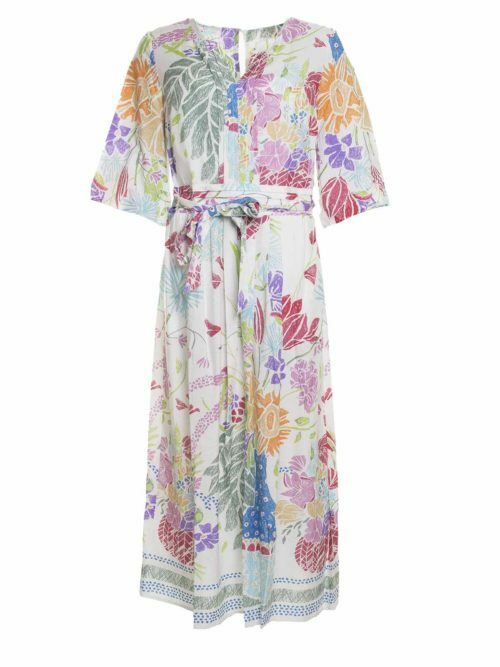 This striking dress is a wonderful mix of prints and colour, made in Tencel, it is cool and light to wear. 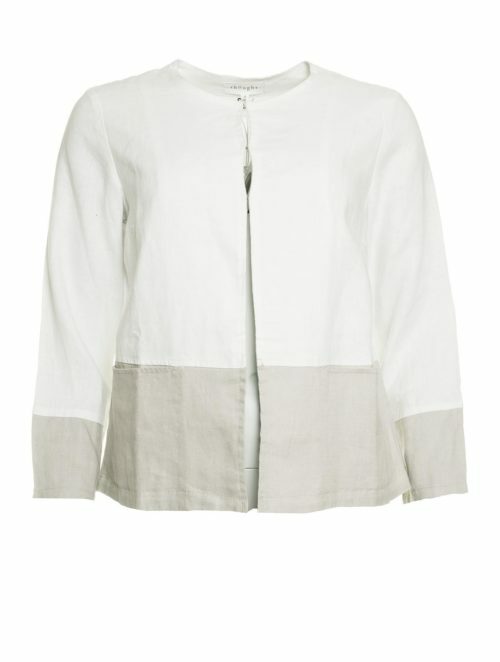 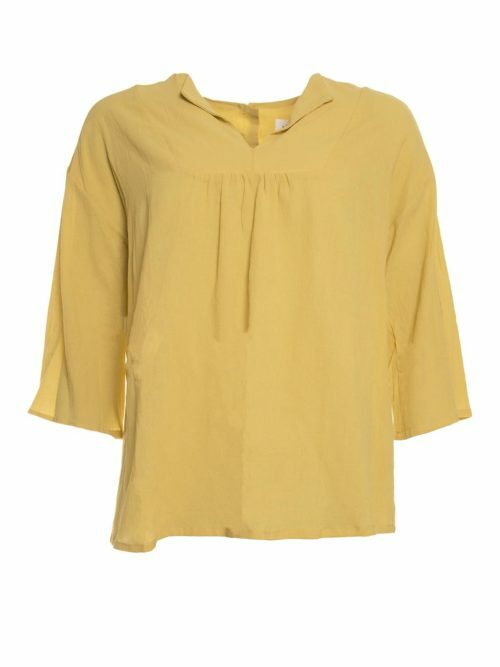 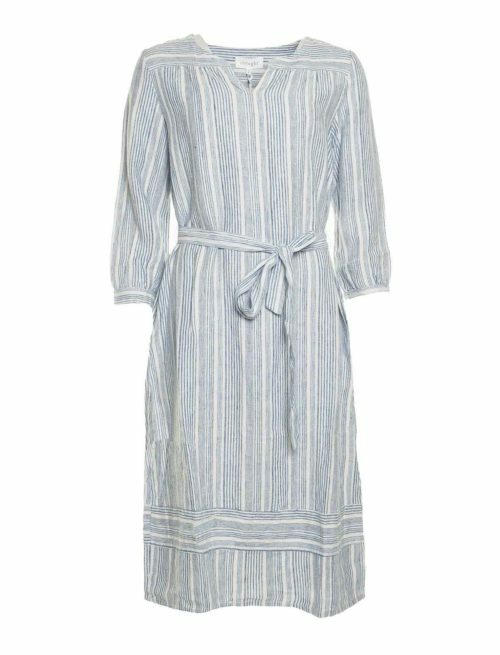 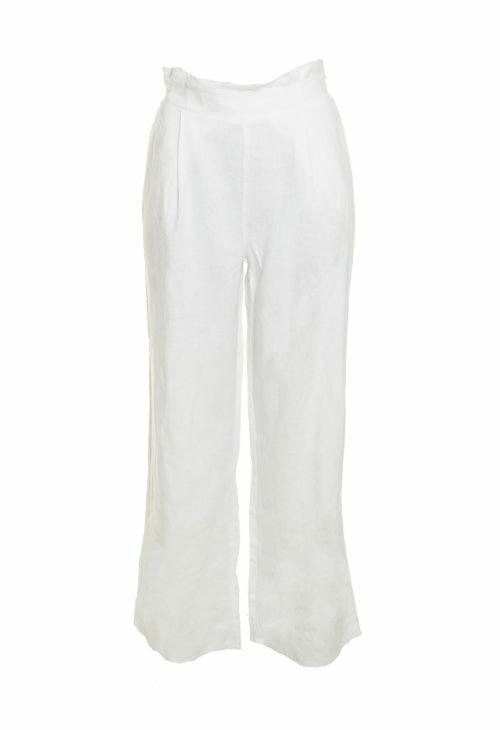 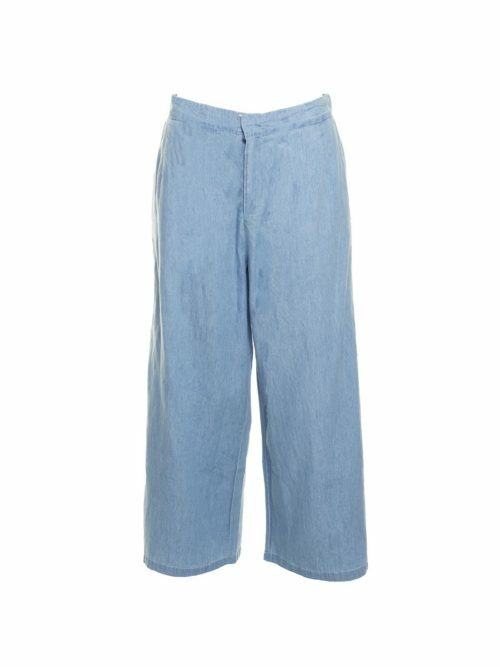 Could be dressed up for an occasion or worn casually with trainers or sandals.